LucasArts’ Ron Gilbert helped pioneer the point-and-click adventure genre, and with it the LucasArts SCUMM engine, in 1987’s Maniac Mansion. With 1990’s Monkey Island, Gilbert tightened it further, turning what began as an earnest pirate game into a silly romp that also reinvented the genre. After finishing Monkey Island’s sequel, however, Gilbert left LucasArts to form a new company. 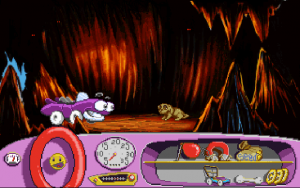 Humongous Entertainment, founded by Gilbert and Shelley Day, would be focused on the same kind of SCUMM adventures that LucasArts had become famous for, but with a focus on younger audiences. Humongous Entertainment’s first game was Putt-Putt Joins The Parade, and it served as an introduction to their “junior adventure” imprint and adventure games in general for the company’s audience. 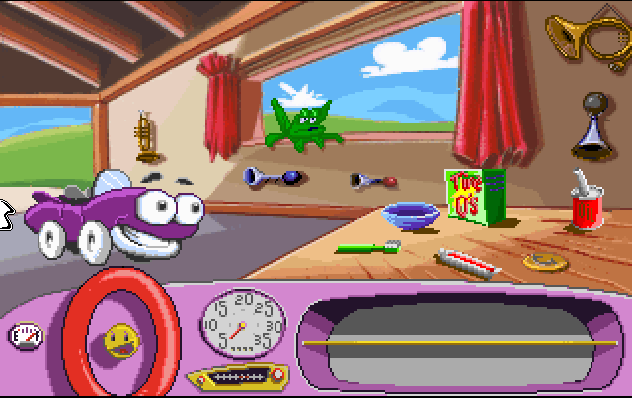 Putt-Putt Joins The Parade is a rudimentary point and click adventure, but it also shows some of Humongous Entertainment’s strengths: being able to take the framework of a SCUMM Adventure Game to create games palatable to a younger audience in tone and difficulty without condescending. If the title of this game sounds a bit like a picture book, that’s because Putt-Putt apparently began as stories Shelley Day would tell to her son. As far as those stories go, this one is pretty slight. 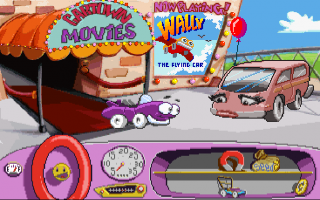 Putt-Putt, a talking car child who lives in Cartown, wants to enter the Cartown Pet Parade. He doesn’t have a pet though, and also needs a balloon and a carwash in order to be allowed in. The story is primarily written by Laurie Rose Bauman, who would stay on to write the next five games in the series. The game was directed by Gilbert himself. Monkey Island famously took the LucasArts adventure game and removed failstates by making its hero immortal. Putt-Putt follows suit. 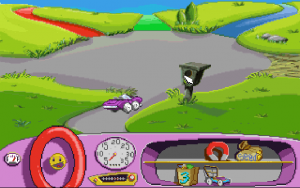 There’s no time limit and no hazards to speak of, besides some roadside spikes that can break Putt-Putt’s tires, requiring him to be towed to a gas station. The only real obstacle between the player and finishing the game is collecting the items needed for Putt-Putt to enter the parade: a balloon, a car wash, and most crucially, a pet. Like most SCUMM games, interaction with the game environment is done entirely via clicking. Perhaps because Putt-Putt’s audience includes children who have not yet learned to read, this is done without the articulated commands of LucasArts games. Players can click on nearly everything in the environment, to varying results. 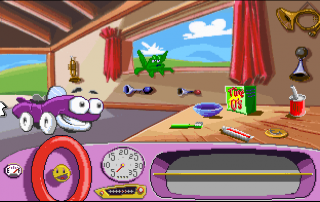 Clicking on objects in the environment lets Putt-Putt talk to characters, pick up objects, read aloud signs, as well as trigger superfluous animations. These animations serve as a way to make sure that each screen of Putt-Putt Joins The Parade is highly interactive, encouraging young players to experiment with it. Besides being able to click on objects in the world around him, Putt-Putt can also use his horn and radio. 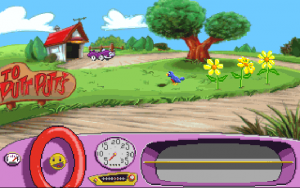 With a HUD of his own dashboard, the purple car can also hold onto various items in his glovebox and use them to interact further with the environment. 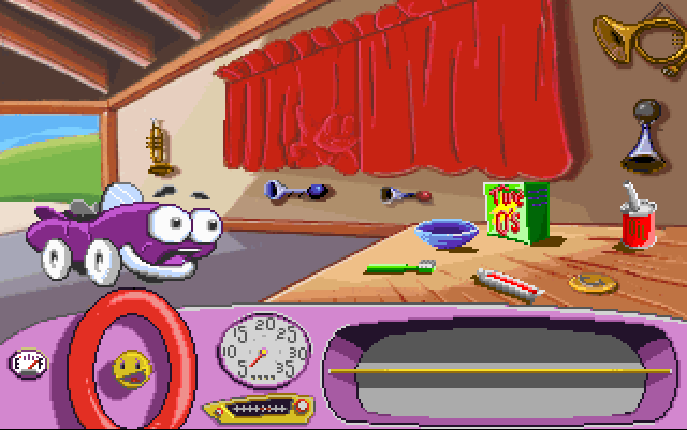 The game begins with Putt-Putt waking up in his home, learning about the parade on the radio. Putt-Putt says to himself that he should go see Smokey the Fire Engine about the parade. 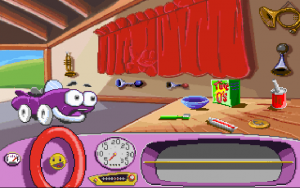 Putt-Putt’s home is full of clickable nonessentials, including a bowl he can fill with cereal and oil for breakfast, and a curtain that can be pulled back to reveal a frog. The frog in turn can eat a fly buzzing in the room, if clicked with good timing. Once players have had their fill of clicking on things in Putt-Putt’s home, they can click to the left to move the little car down a linear path. 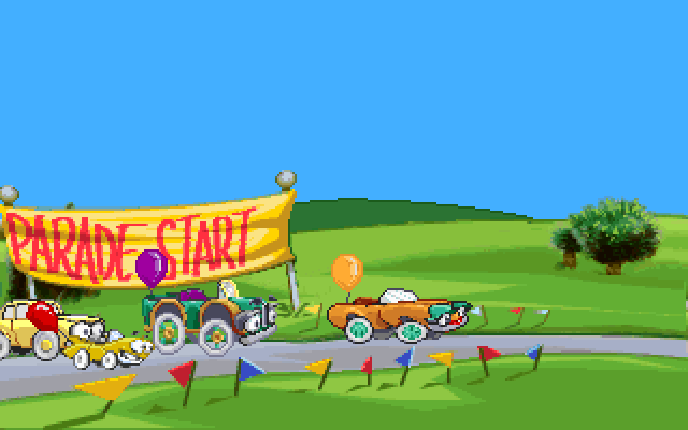 The game then proceeds with a couple screens empty besides clickable animations, where the main goal is to become acclimated to moving Putt-Putt between screens by clicking on exits on the road. Eventually, Putt-Putt reaches a block in the road where a cow is grazing. 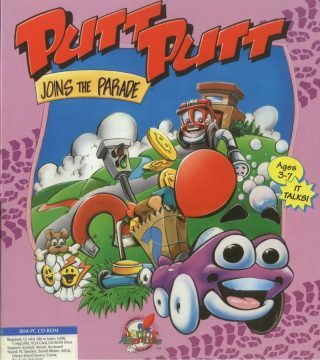 Putt-Putt says,”I wonder what I can do to get past that cow.” The player can’t move on until they figure out to use their horn to scare the cow away. 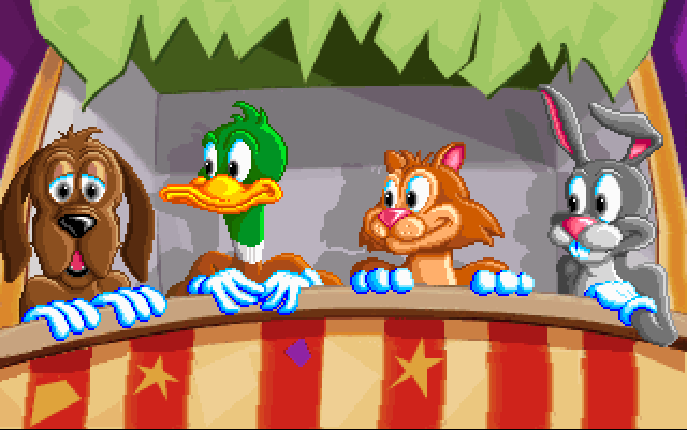 This section serves as a tutorial of sorts, forcing players to pick up the basic verbs of the game: clicking on objects and using Putt-Putt’s horn. From there, Putt-Putt enters Cartown and meets with Smokey the Fire Engine, who tells Putt-Putt what he needs to enter the race. 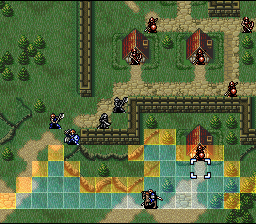 From here, the game’s imperatives are introduced. 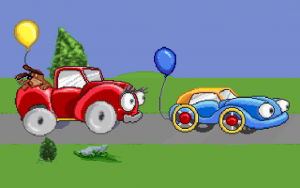 To join the parade, Putt-Putt needs to get a balloon, a pet, and a car wash. In order to earn money for the carwash, Smokey tells Putt-Putt he can borrow his lawnmower and mow lawns to earn money. He can also deliver groceries for stereotypical Italian grocer Mr. Baldini. 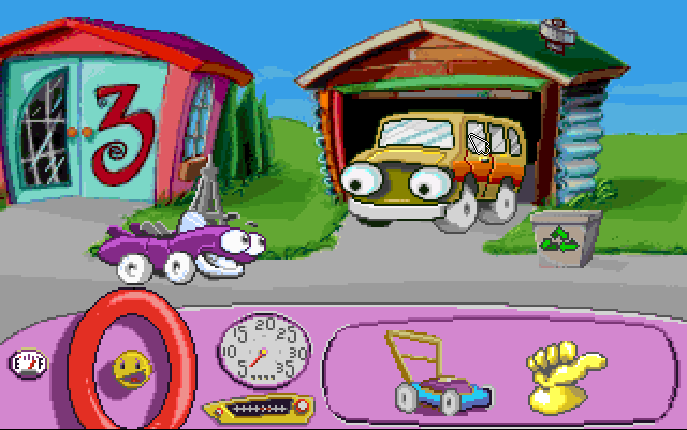 Which street Smokey recommends Putt-Putt bring his mower to as well is randomized. 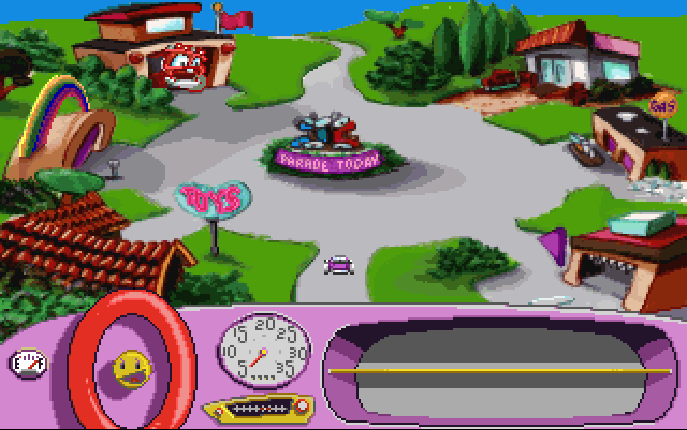 Another randomized element comes when Putt-Putt goes to Mr. Baldini’s market, and Mr. Baldini gives Putt-Putt a bag of groceries to deliver to a home by street color and house number. 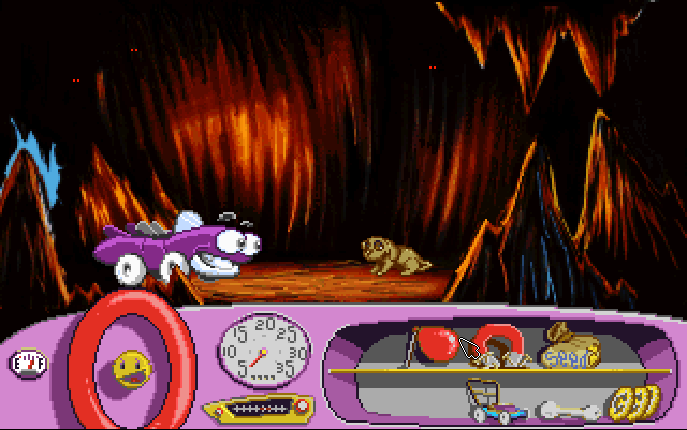 These missions introduce the player to Putt-Putt’s glovebox inventory, which must be used creatively throughout the rest of the game. For example, a magnet found at the toy store must be used to pick up nails off the street in one section. Birdseed found at the grocery store can be used to lure away birds found on the street in another area. Like in Gilbert’s two Monkey Island games, Putt-Putt lets the player’s goals be accomplished at their own leisure in a non-linear order. The game also offers the player a level of freedom in how they accomplish their goals. 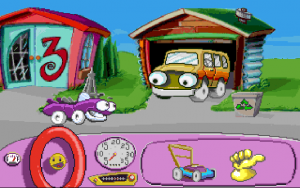 Putt-Putt can make his money just by mowing lawns, or by delivering groceries, or through a mix of both, although Putt-Putt will need to mow at least one lawn in order to find a bone and thus recruit his puppy. Mowing lawns puts the game into a top-down minigame, where clicking guides Putt-Putt and his push lawn mower around a small square yard. 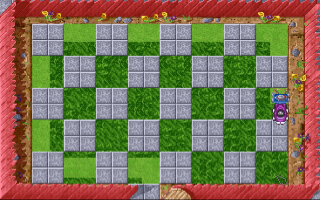 Putt-Putt is allowed to do a pretty subpar mow job, and will still get paid the same penny regardless. Delivering groceries just requires finding the coordinates of a specific house through color and number recognition. 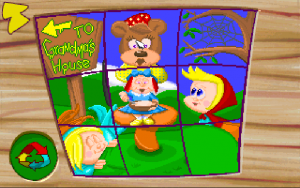 Another minigame can be found in the toy store, a simple toybox game that allows the player to customize an old fashioned wooden pinball board by adding pegs.The toy store also contains a game that allows players to rearrange pieces of fairy tale themed puzzles. Once Putt-Putt has some income, he can also avoid the car wash altogether and instead get a paint job of the player’s choice color instead. This means as far as Humongous Entertainment games go, Putt-Putt Joins The Parade is one of the more open ones, if also one of the least complex. 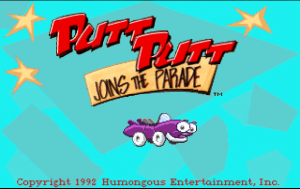 None of Putt-Putt’s goals are particularly difficult or unintuitive to accomplish, but as an introduction to the company, its flagship character, and for young players an introduction to the adventure genre as a whole, it doesn’t really have to be. 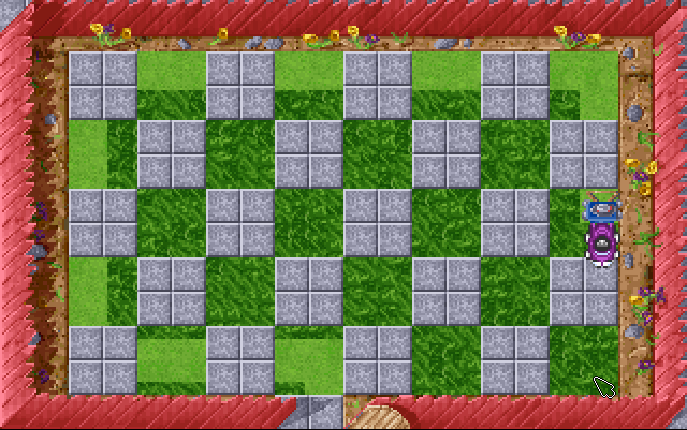 The whole game can be beaten within ten to fifteen minutes easily by an astute player, but that’s part of its design. At the end of the game, the player gets to watch the titular parade, seeing different cars with pets sitting in their seats. 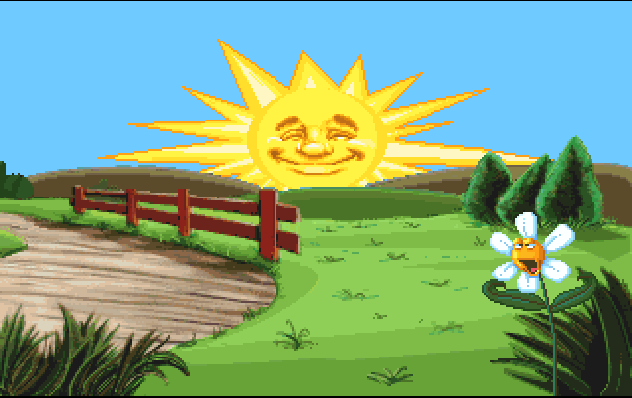 Then, an illustrated smiling sun sets in the distance, and balloons rise as the credits roll. 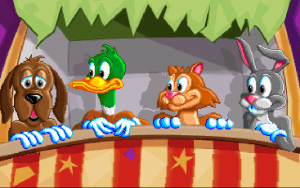 The game asks the player whether they want to play again, and they can repeat the whole process. 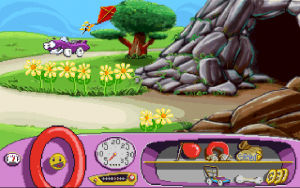 Much the way young children are known to rewatch favorite episodes of television shows, Putt-Putt anticipates replays in its short length and partially randomized elements. Because many animations can be skipped by pressing the escape key, the game can also be easily speedrun by a savvy player. That said, it can still also be saved and loaded by pressing S and L respectively. Maybe the most surprising thing about the game, given its vintage, is its voice acting. While the original floppy disk release featured a smaller script and a good deal of reused voice samples, both the floppy and CD versions don’t require reading comprehension to play. 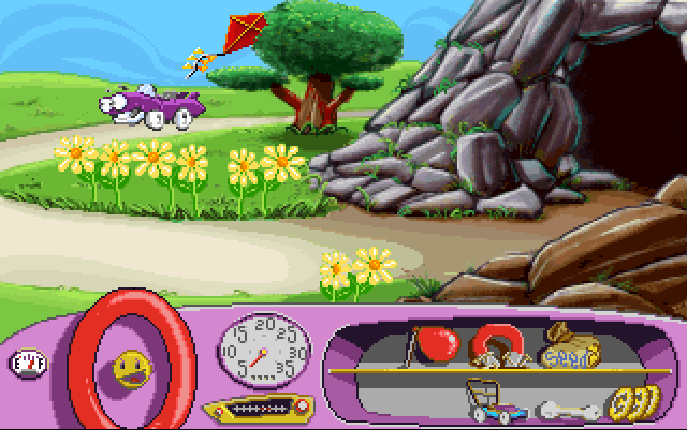 Jacob Ellefson, Putt-Putt’s young voice actor, played the character for years after this game and hearing him in this game at a young age makes the character’s simple dialog more endearing, like Putt-Putt is a member of the games own 3-8 demographic. 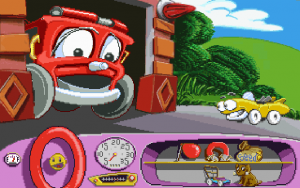 With his childish voice and big round eyes, Putt-Putt can seem like a more sedate Elmo, a friendly character who speaks to preschool-aged players on their own terms. While its art style doesn’t match the interactive cartoon qualities of later games, it’s still very colorful, and full of easter eggs, like the joke telling animals in the toy store and many clickable animations. It’s clearly an early effort from Humongous, right down to its simple midi soundtrack, which is melodic and pleasant, but fairly repetitive and tinny too. The game has made numerous reprinted appearances over the years. Besides releasing on disc and CD, it would eventually come out for 3DO through developer Marubeni. Today, it can be found emulated through ScummVM on Steam, Android, and iOS, and has also made appearances on Humble. The original disk version features numerous differences from the later CD editions, mostly pertaining to the amount of spoken dialog. 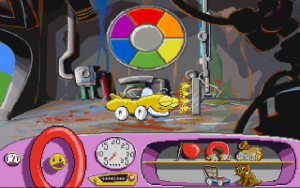 The disk version uses a lot of “mad libs” style repetition of lines of dialog and spoken words, rearranged into new sentences as a means to save space. 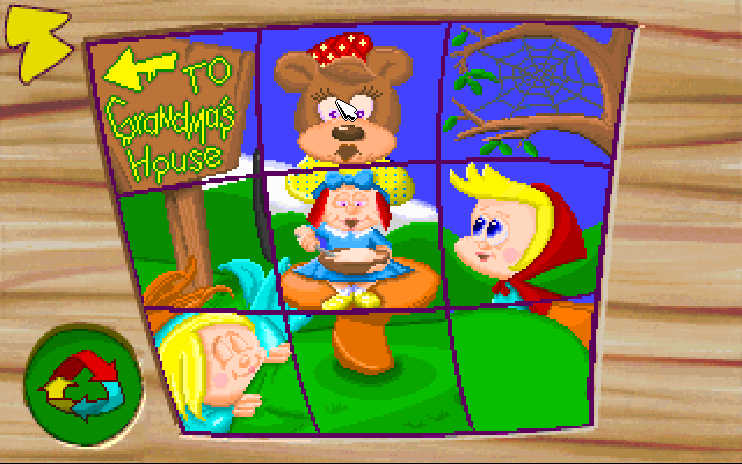 Some animated wooden blocks in the disk version take the place of the “Riddles & Jokes” section found in the later CD and 3DO versions.